The Pearl Harbor false flag operation of December 7th, 1941 which provided the excuse for the US to enter World War 2 is about to be celebrated once again. This Wednesday (December 7th, 2016) will be the Pearl Harbor 75th Anniversary event. The horrific event was yet another in a long long line of false flag operations that have been carried out by unscrupulous criminals (our misleaders) over the years. Just as with the 9/11 false flag attack, around 3000 American lives were sacrificed so that the US Government had the pretext they needed to go to war. 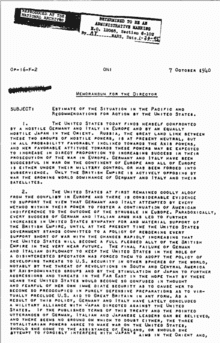 As the 75th anniversary approaches, it is appropriate to cast our gaze back in time and set the record straight on the Pearl Harbor false flag op in the hope that this information will spread far and wide, and prevent future leaders from using this hackneyed tactic to trick people into submission and achieve their dark political and geopolitical goals. To begin with, the Pearl Harbor attack is not a false flag op in the sense that the US attacked in its own ships and planes. It is a false flag in the sense that at the very least Roosevelt let it happen, and as the evidence will show, he made it happen. Most of the US Pacific fleet of planes and ships were intentionally left there as sitting ducks with no air protection, an easy target for the Japanese torpedo planes. 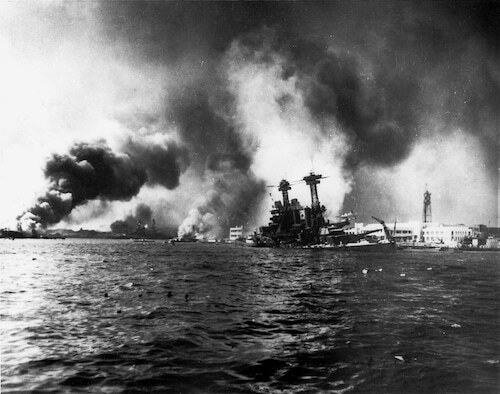 The Japanese managed to destroy nearly 20 American naval vessels, including 8 massive battleships and over 300 airplanes. The “surprise” attack proved to be an easy excuse for Roosevelt to convince the American people and Congress to enter WW2. (Yep, those were the days when the US President actually followed the Constitution more [although Roosevelt was still a criminal of course for his actions here], unlike Obama who has tried throughout his 8-year tenure to go to war without Congressional approval.) After all, who would begrudge a nation declaring on war on another nation, after the former had been attacked for no apparent reason? The collective mindset 75 years ago was quite different to show it is today. People trusted their leaders more; people were more patriotic and nationalistic; and there was no internet or easy way for people to “fact check” their leaders to tell if they were lying or not. Turning now to Pearl Harbor false flag event itself, some of the best information can be found in the book Day of Deceit by author Robert Stinnett, who served in the US Navy during WW2. His research includes declassified documents which were withheld from the American public for over 60 years. 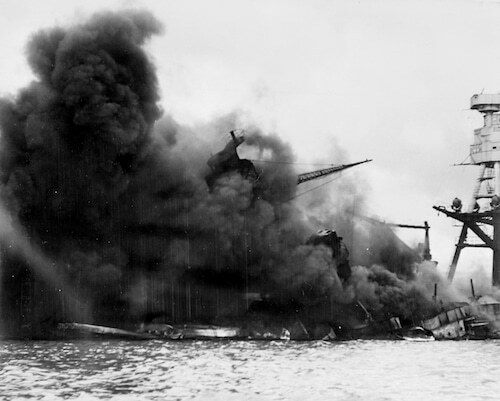 Stinnett’s work shows that there were really 3 conspiracies surrounding the event: the first was to induce Japan to attack America and thus provide an unbeatable pretext for America to enter World War 2; the second was to deprive the Pearl Harbor commanders of available information about Japan’s intentions; and the third was to ensure that all evidence of foreknowledge from the public. 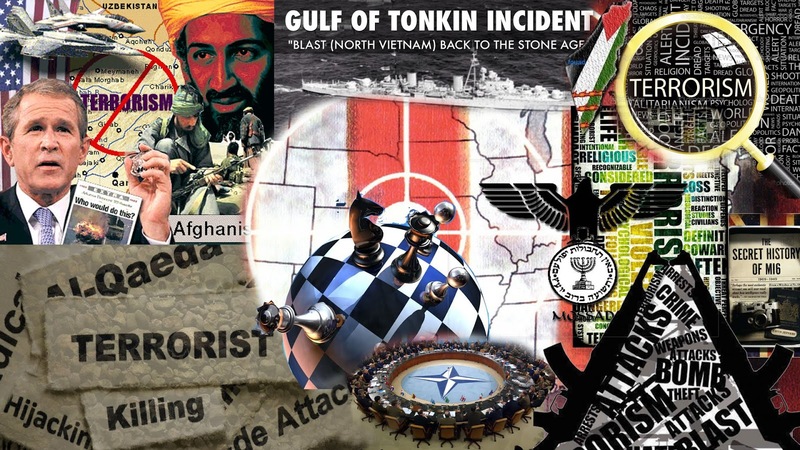 False flags have been happening for a great many years and many people wonder why the United States of America is being so denounced by many nations of the world. We’ve allowed a elite caste of individuals steer the policy of America for decades. They’ve started wars with other countries that were based upon lies. It’s time we get off our asses and quit allowing this to happen! We’re the ones making many of the problems around the world, when we allow our government to do these things, we’re just as much to blame for what happens. The government can only rule us with our consent and unfortunately many have consented through ignorance, but none the less that’s still consenting. The problem is though that people are easily manipulated, especially the older generations, such as the baby boomers. They grew up getting their information from the TV, thus its a habit for them to rely upon it for news. The TV doesn’t broadcast real news, they only give you what they want you to know and nothing else. The CIA and many other spy agencies made it a business in overthrowing leaders in other countries. The name of the game was to gain control, not to protect Americans. They would decide who they wanted to be in control of a particular country that favored American polices. The American policy has been essentially an extension of the Nazi’s Fourth Reich. Many people will find this hard to believe, but the Nazi’s basically infiltrated the USA military industrial complex and took over. The 1952 fly over Washington was the Nazis forcing the American government in creating a treaty. The Americans knew of the Nazi base in Antartica when they dispatch a fleet of ships in the command of admiral Byrd to find and destroy this Nazi Base. This mission was code-named Operation Highjump. The “official” Wikipedia explanation says it was to setup a research base. When you look at how many men, ships and aircraft they took with them, it becomes obvious there was more to it. The below is the article that I quoted from above. This is the only paper that ever mentioned this event, because it was being kept secret by the US Government. This stuff needs to come to the light, because the Truth will set you free. It is time to understand that all these false flags have been the workings of the elite caste, consisting of the Nazis and bankers. It’s time to wake up and take back our planet! d. Introducing the trainees to booby trapping devices and techniques giving practical experiencewith both manufactured and improvised devices through actual fabrication. (27) Similarly, a CIA “psychological operations” manual prepared by a CIA contractor for the Nicaraguan Contra rebels noted the value of assassinating someone on your own side to create a “martyr” for the cause. 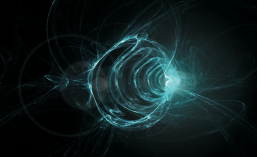 The manual was authenticated by the U.S. government. (28) An Indonesian fact-finding team investigated violent riots which occurred in 1998, anddetermined that “elements of the military had been involved in the riots, some of which were deliberately provoked”. “He should do what I did when I was Minister of the Interior … infiltrate the movement with agents provocateurs inclined to do anything …. (55) Britain’s spy agency has admitted (and see this) that it carries out “digital false flag” attacks on targets, framing people by writing offensive or unlawful material… and blaming it on the target. They were only recalled at the last minute, when Johnson realized that it was the Israelis – and not the Egyptians – who had fired on the Liberty. (See this, this, this and this).